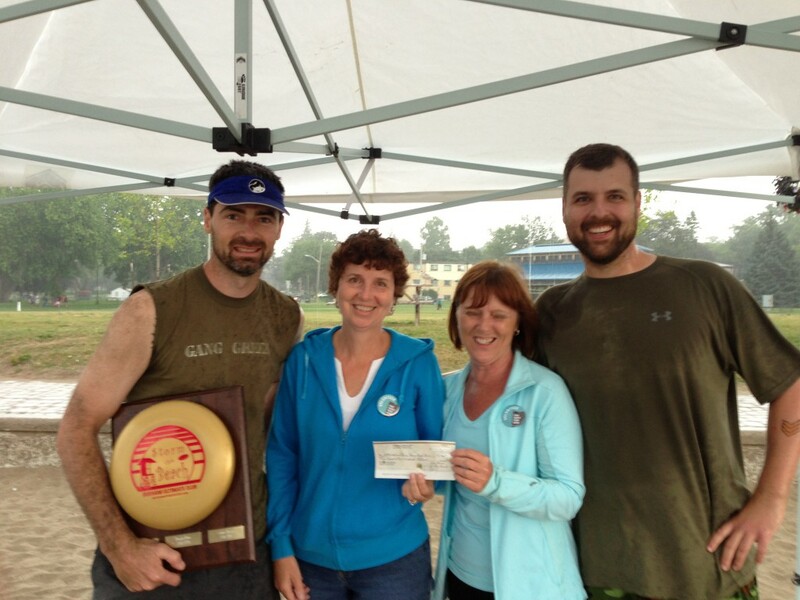 GangGreen from Durham Ultimate Club took the coveted Storm The Beach championship for the 5th Annual beach tournament. We managed to set another fund-raising record of $2400 for Fare Share Food Bank Northumberland. Additionally, we managed to collect a whopping 545lbs of food. Many thanks to our event participants, and our sponsors for making this a great event! See our 2013 posts for up to the latest blog updates for this year’s event.